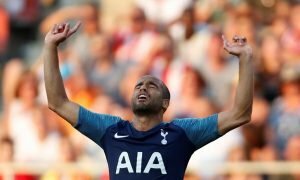 Stoke City readying bid to beat Tottenham to Premier League striker | The Transfer Tavern | Where football transfer rumours fly or die! The Stoke City fans in The Transfer Tavern are gathered around the jukebox discussing reports linking them to a rival club’s striker. According to reports in The Times, Stoke are readying a bid which they will hope will beat rivals Tottenham Hotspur in the race to sign West Bromwich Albion striker Saido Berahino. 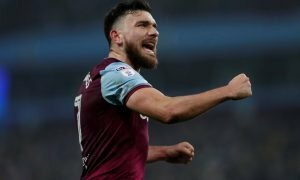 The Baggies have made the striker available for sale this month, as the club look to raise funds to bring new blood into the club for the second half of the season. Berahino was close to a move away from The Hawthorns during the summer, but a move to Tottenham failed to materialise due to both clubs being unable to agree payment options for the player, the failure of the move led Berahino to state he would never play for the club again whilst Jeremy Peace was chairman. The West Brom fans in The Transfer Tavern are hopeful that Berahino leaves the club during this window, as they seen him as a disruptive influence to the squad! Meanwhile, a handful of Stoke fans are not too sure about this news, and feel the club already have enough attacking talent at the squad as it stands! 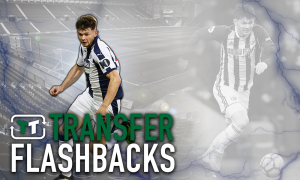 West Brom fans….. Would you be happy to see him go? Let us know below!